Some communities in York and Cumberland counties hire a consultant to challenge the agency's findings. SOUTH PORTLAND – The seaside ledge where Bob Blackwood’s house stands was first developed as a hotel and a cottage around 1885. It’s only 65 feet from mean high tide, but set high enough that waves haven’t damaged it through more than a century of hurricanes and winter storms. The Federal Emergency Management Agency isn’t impressed by that history. The agency, in preparing new flood plain maps for five Maine counties, has placed Blackwood’s home in a high-risk zone. During a 100-year storm, it’s assumed, 3-foot waves could crash into the building and cause major damage. Using FEMA’s calculations, 17 or so homes in Blackwood’s neighborhood are in the high-risk zone, including a house across the street that’s higher and farther from the water. The designation could lead to more costly flood insurance, and prevent property owners from building or rebuilding, so Blackwood is upset. “People have been living in these places for 125 years or so, and we haven’t had the storm they’re talking about yet,” he said. Determining flood zones isn’t an exact science. The settlement reached last month between FEMA and the city of Portland over mapping around Portland Harbor shows how the agency’s highly technical calculations are open to debate. Similar disputes are happening across the country, and they’re shaping up to be especially heated on the Maine coast. In Casco Bay, the dynamic seascape of islands, peninsulas and ledges is not well-suited to FEMA’s baseline wind and wave measurements. The agency, which has spent $3.2 million so far in southern Maine, says it doesn’t have the budget to do a more detailed analysis. Two dozen coastal communities in York and Cumberland counties are having flood plains remapped. Several have followed Portland’s lead and hired a consultant to challenge the changes. The challenges come as FEMA prepares to resume an appeals period this summer. Property owners in or near the updated hazard zones are being advised to pay attention. The maps are the basis for federal flood insurance, which is required on mortgages for property in flood zones. With millions of dollars and future development at stake, the outcome of the early appeals may be instructive, as more flood plain maps are updated across Maine in the years ahead. The federal government began a program to map flood plains in 1969. In 2003, Congress authorized updating the maps and putting them into a digital format. That process is under way in Maine, which still lacks detailed coastal elevation data east of Brunswick. Federal stimulus money will close that gap this fall, paying for aircraft with laser technology to finish the job. But topography and water depths are only part of the picture. On the coast, FEMA also collects data for wind speeds and waves, calculating how high they could get at the peak of a storm that, statistically, happens only once in a century. In Portland Harbor, the initial calculations led FEMA last year to put much of the waterfront in a high-hazard zone. That would have stopped construction on Portland’s piers, and rebuilding of structures more than half destroyed by storms. To challenge the designation, Portland hired Robert Gerber, an engineer for Sebago Technics in Westbrook, who specializes in computer modeling of environmental systems. Gerber used sophisticated modeling, and data from the Portland International Jetport and a weather buoy, to recalculate the effect of waves and wind on Portland Harbor. He determined that the peak, sustained wind speed in a 100-year storm would be 52 mph, not 71 mph, as FEMA had assumed. That lowered the projected wave height from 5 feet to less than 3 feet. Gerber also calculated how islands, underwater ledges and varying water depths in Casco Bay would reduce the height of waves striking the harbor. The modeling cost the city $10,000, but helped persuade FEMA to take most of the waterfront out of the high-hazard zone. Gerber has since used the Casco Bay modeling to work with other communities and with property owners. 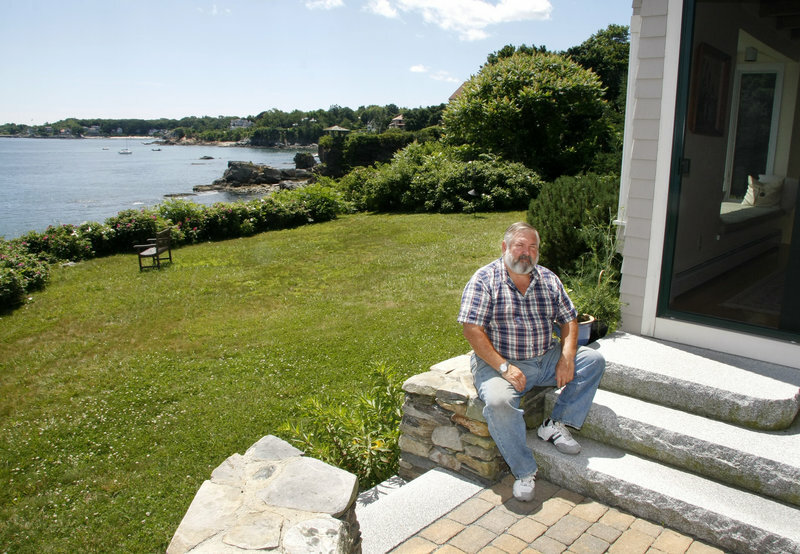 In Harpswell, which has 80 islands and 218 miles of coastline that traces long, narrow coves, Gerber found the greatest difference between his modeling and FEMA’s data. He also was hired by Dolphin Marina, a boatyard and restaurant in Potts Harbor. FEMA had put the entire property in a high-hazard zone, threatening an expansion. Gerber used three-dimensional wave modeling to show how the topography and varying water depths would dissipate energy from ocean storms, leading FEMA to revise the initial flood map. The level of coastal analysis that FEMA is doing works well in areas with flat, sandy beaches, such as Florida, Gerber said. But it’s not adequate for Maine, notably for the shoreline east of Portland. FEMA doesn’t really disagree with Gerber. But Congress authorized $1 billion for FEMA to modernize flood plain maps, and that money doesn’t pay for the level of computer modeling that Gerber is doing in Casco Bay. “Our mapping process is scientifically sound, but it may not be as accurate as some would like,” said Dennis Pinkham, a FEMA spokesman in Boston. FEMA will consider more accurate data, Pinkham said, but it’s up to communities and property owners to provide it. They’ll have that opportunity during a 90-day appeal period, possibly this summer. Notice will be published in newspapers, and FEMA may hold informational meetings. Property owners in new or revised flood hazard areas can take advantage of a grandfathering provision to buy flood insurance or maintain their existing policies. 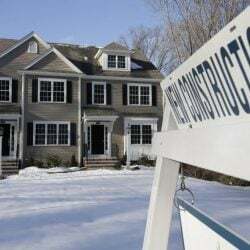 Rates will change when risk designations are updated, FEMA is warning, and could increase from hundreds to thousands of dollars a year for some property owners. The angst over flood plain mapping is being heard by Maine’s congressional delegation. Sen. Susan Collins said Portland’s experience shows how FEMA can work with communities to produce accurate maps using the best science. As ranking member of FEMA’s oversight committee in the Senate, Collins said she will work to ensure that the agency updates the maps in a collaborative manner. Rep. Chellie Pingree has expressed her opinion to FEMA’s administrator that the agency — not communities and property owners — should bear the cost of improving the maps’ accuracy. “Developing the most accurate flood maps is FEMA’s job, and communities should not have to pay for them,” she wrote in a letter. A member of Pingree’s staff was at a meeting last week with South Portland officials. They’re frustrated that FEMA hasn’t acted on their request to shrink the flood plain areas in their city, based on the revised wind and wave projections for Portland. That may happen, but FEMA says it will consider each community separately, during the appeals process. That leaves homeowners such as Bob Blackwood in limbo. Blackwood stood on his lawn last week, looking over FEMA’s proposed map with Steve Puleo, the city’s community planner. Puleo explained how the shading on the map corresponds with the proposed hazard zone, and both men puzzled over how Blackwood’s neighbor’s home could be threatened by waves. “The fact that, historically, it has never happened, doesn’t mean anything?” Blackwood asked. But as the issue heats up, one key part of the debate is missing — the impact of climate change and sea level. A majority of experts, including Gerber, say they expect storms be more intense, and expect sea level to rise in the coming decades. That’s bound to put more property at risk of flooding. But because no one can agree on the rate of sea level rise, there are no legally accepted numbers that engineers can plug into computer models for mapping flood plains. Thus Gerber warns that the analysis he did for Casco Bay won’t be valid in 20 years, which may put parts of Portland Harbor back into the hazard zone.